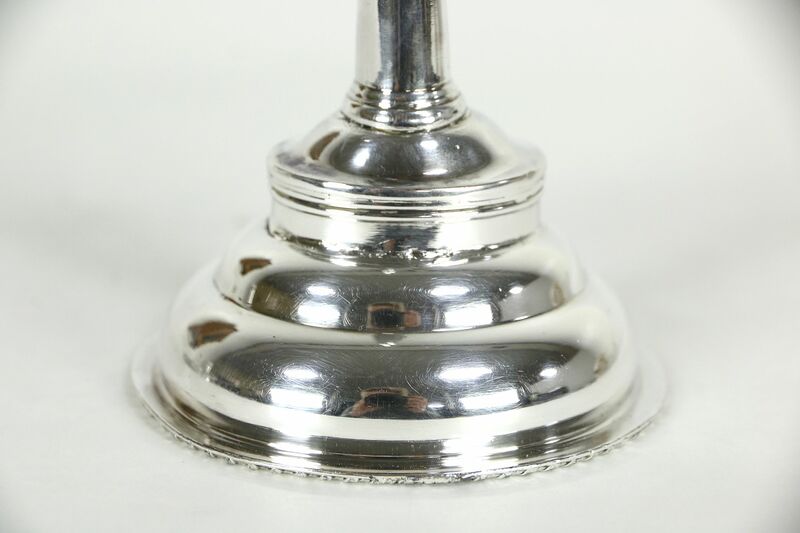 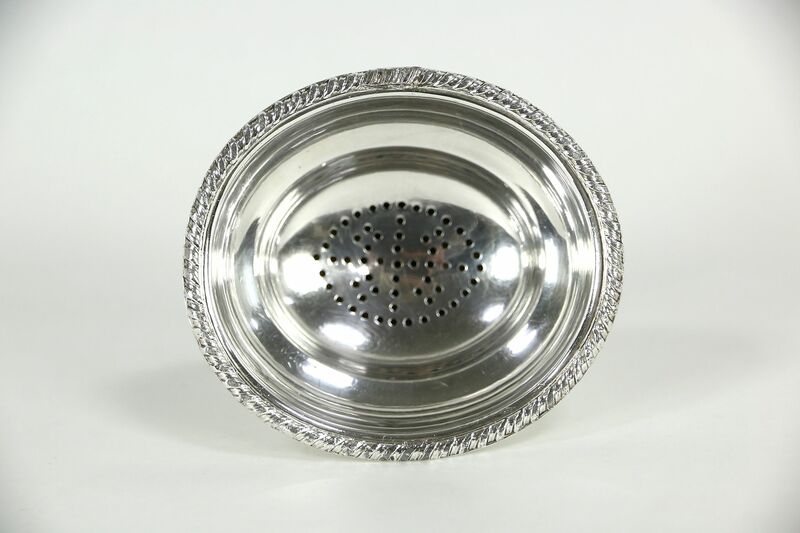 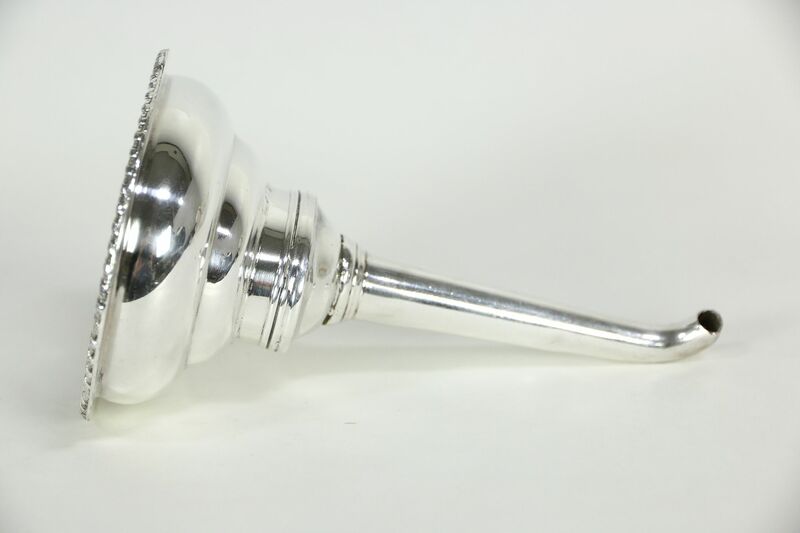 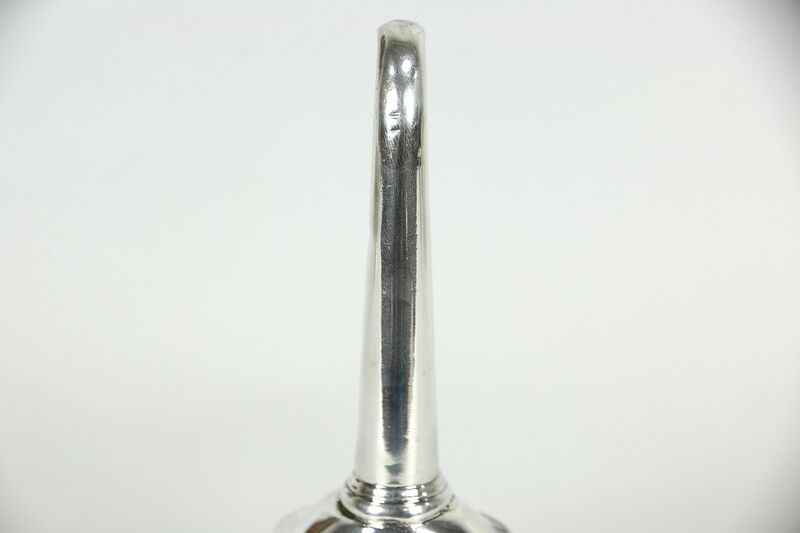 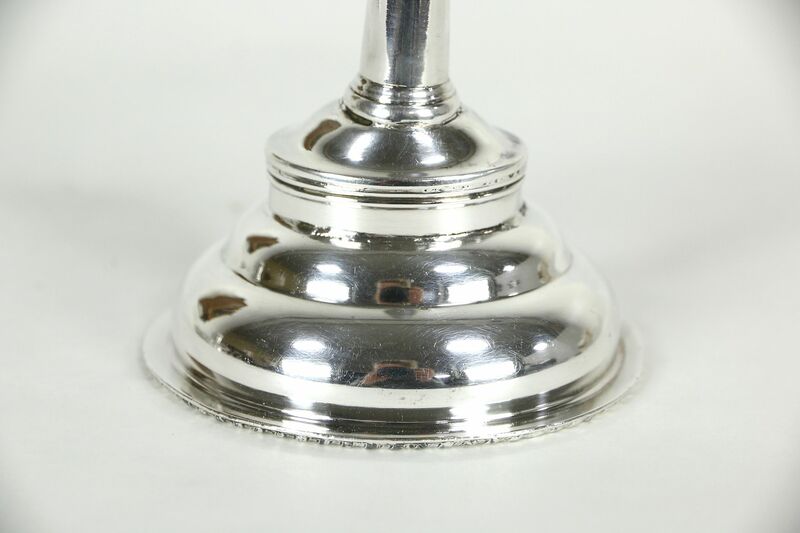 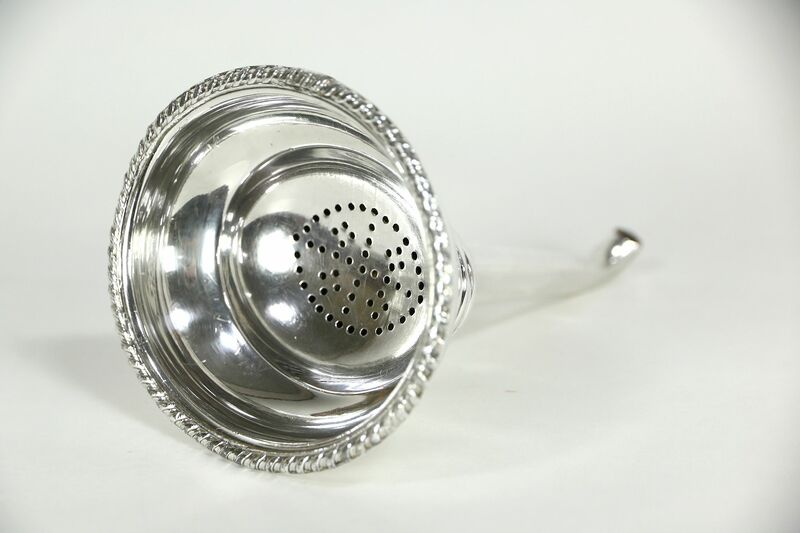 An antique silver wine strainer has no signature or silver marks. 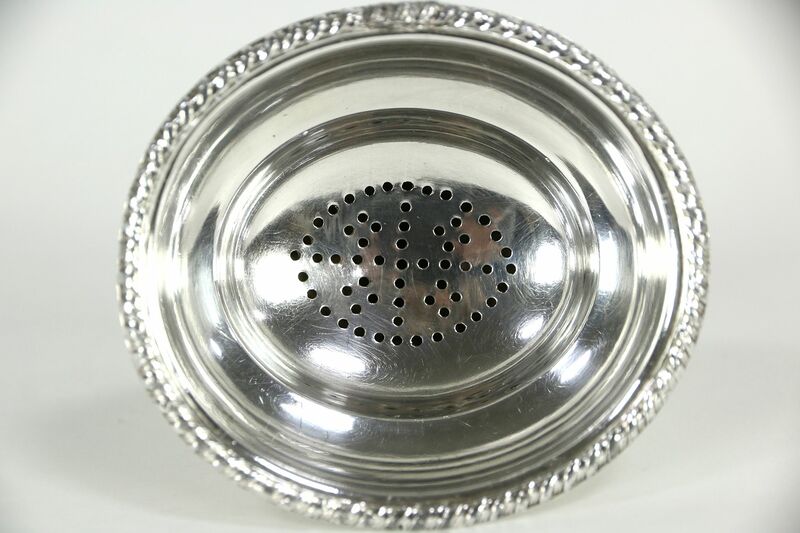 The uneven silver soldering where it was put together shows that it was hand made, but we know nothing else about its origin, maker or silver content. 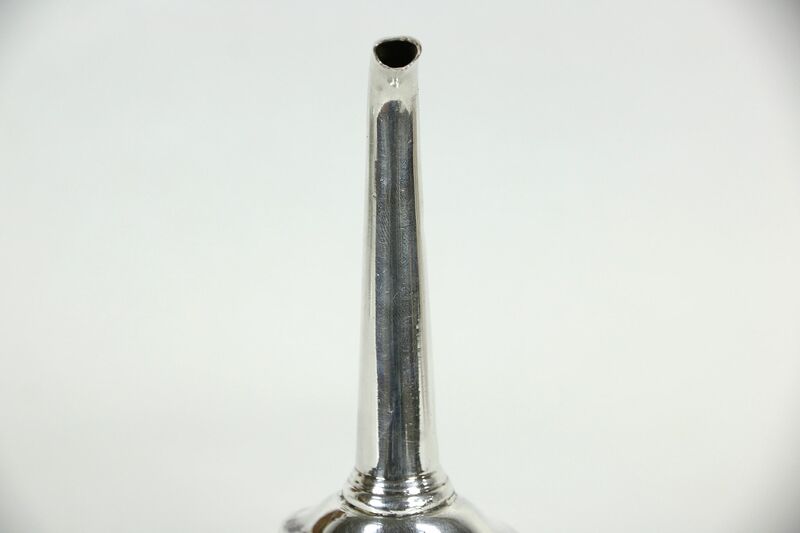 Size is 3 1/2" by 3" by 5 1/4".